Tim Hart knows a good story when he sees one. Over the past 30 years in a variety of roles Tim has helped people and organizations on four continents develop and share their most compelling narratives. 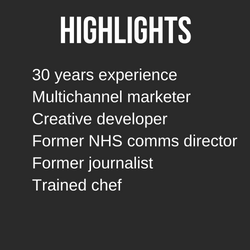 Tim has worked as an award-winning journalist as well as in-house and in global and boutique agencies across multiple cities and sectors. Recently, he led an 80-person communications team in London for the NHS – Europe’s largest employer. Tim’s sector experience is broad – food, wine, health, science, non-profit, professional services, technology, hospitality and the arts. Client work has ranged from solo artists to mission-driven nonprofits and category-leading multinationals. Tim launched Hart in 2005 in San Francisco. He now leads the business with his sister – veteran marketer Kathleen Hart. Passionate about small business, Tim launched LoveSmallBiz.com in 2015 (formerly Grá Group) – providing a unique combination of marketing education and assistance to small business owners via affordable workshops, mentoring and services. 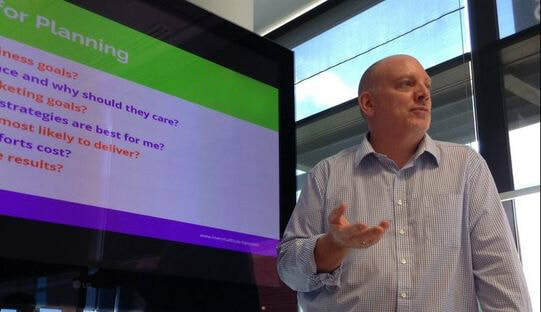 As a lecturer, speaker and trainer, Tim has conducted marketing and PR workshops for US and UK public-sector agencies, universities, chambers of commerce and trade groups, as well as presenting at international industry conferences.